Today I’m sharing seven easy half double crochet patterns that incorporate the use of the half double crochet stitch. Each of these patterns were hand-picked with the beginner crocheter in mind. As you develop and grow your crochet skills, you’ll be able to crochet more complicated patterns. And, before you know it, you’ll be crocheting corner to corner and learning all sorts of stitches! Also, the more you practice with different stitches and different types and weights of yarn, the better you’ll understand the craft of crocheting. Sometimes, I enjoy crocheting with unusual materials like twine. I know from working with twine that you can make some beautiful baskets! I’ve also learned that it’s kind of rough on the hands – as you might imagine. So, experiment and don’t be afraid to try new stitches, patterns, yarns or branch out and try your own ideas. The more you crochet, the better crocheter you’ll become! I’ve already explained to you how to crochet the half double crochet stitch, but if you need a refresher or want to watch the video, you’ll find that here. The half double crochet stitch is very similar to the double crochet, but it produces a tighter stitch. So, you’ve learned how to make the half double crochet stitch and you’re ready to try some crochet patterns? Well, if that describes you, then I have seven easy and somewhat challenging half double crochet patterns for you to choose from. I chose these seven patterns with the beginner crocheter in mind. 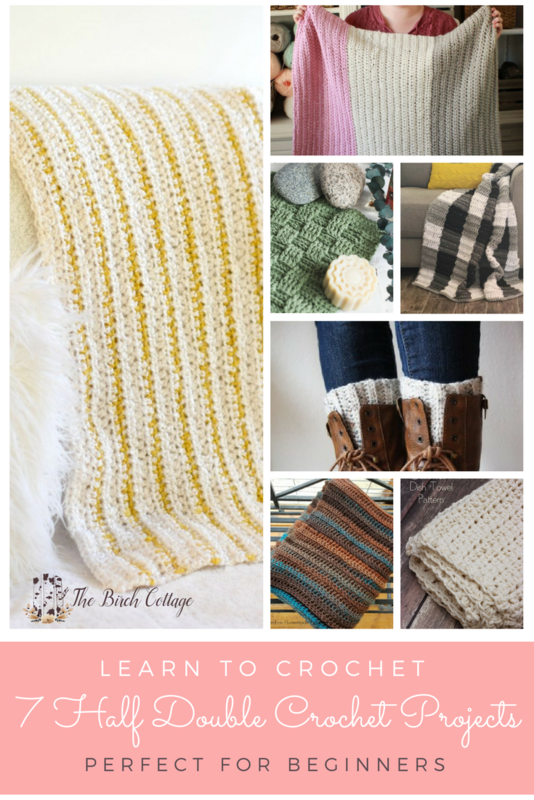 So, if you’ve been following along on the Learn to Crochet series here on The Birch Cottage blog, then these patterns are meant to give you an opportunity to practice what you’ve learned! 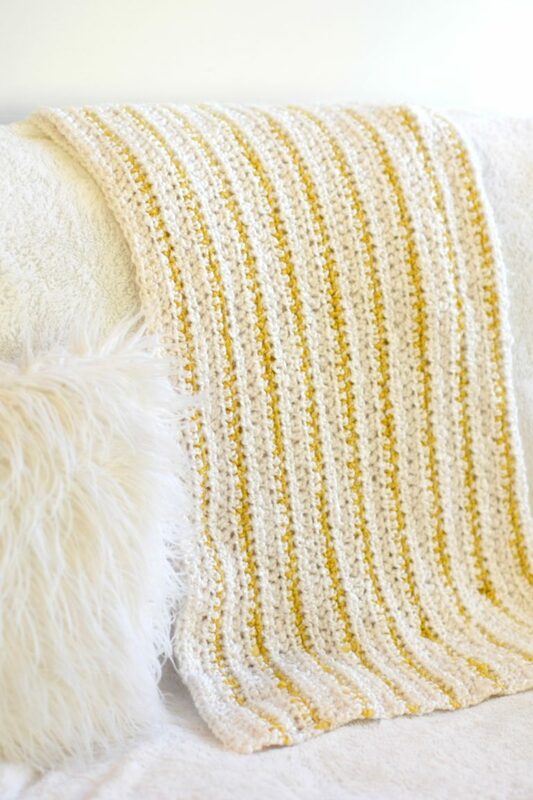 This Modern Beginner Crochet Blanket is such a lovely and easy blanket to crochet. In fact, Tiffany from Daisy Farm Crafts recently taught her daughter how to crochet and this was her crocheted blanket. 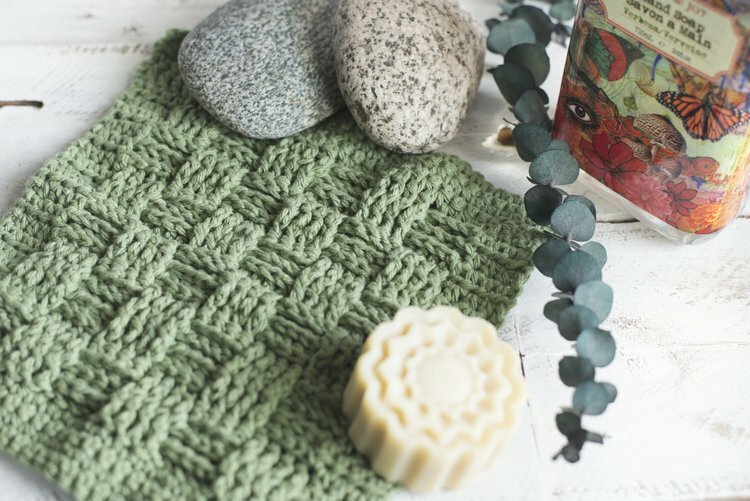 Don’t let the looks of this Basket Weave Washcloth from Meg Made with Love fool you. It looks complicated, but you can crochet one in no time! 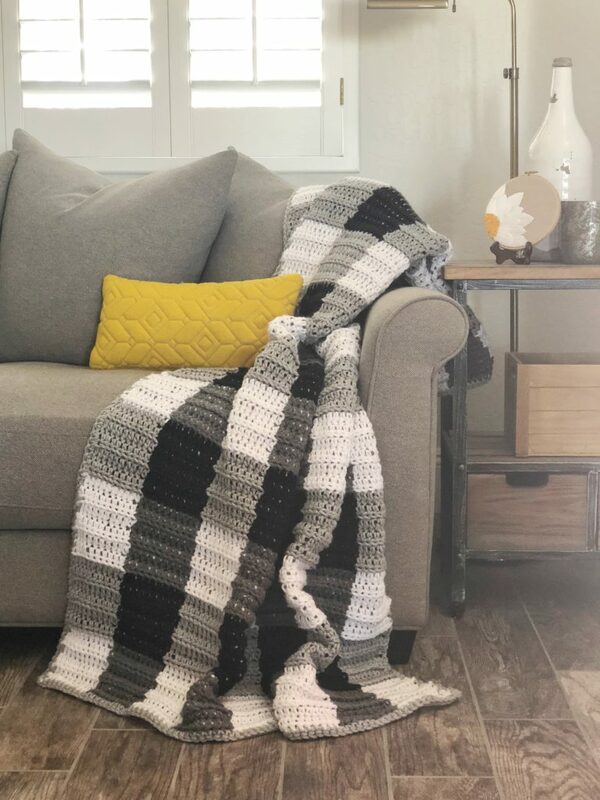 What is there not to like about this Buffalo Check Blanket from Daisy Farm Crafts? It’s a larger blanket, but it works up pretty quickly. Once you try this, you’ll be just as obsessed about buffalo check and gingham crochet patterns as I am! 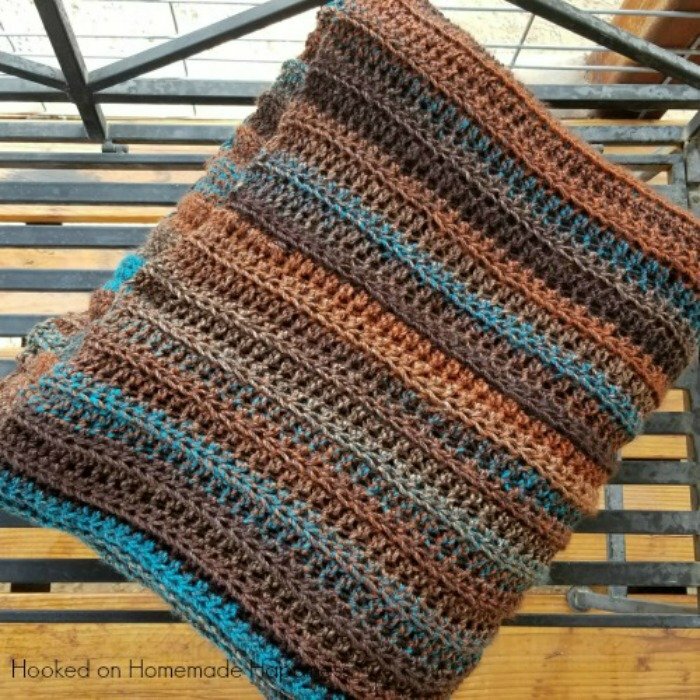 Hooked on Homemade Happiness shares this Easy Half Double Crochet Afghan. Wondering why she calls it easy? 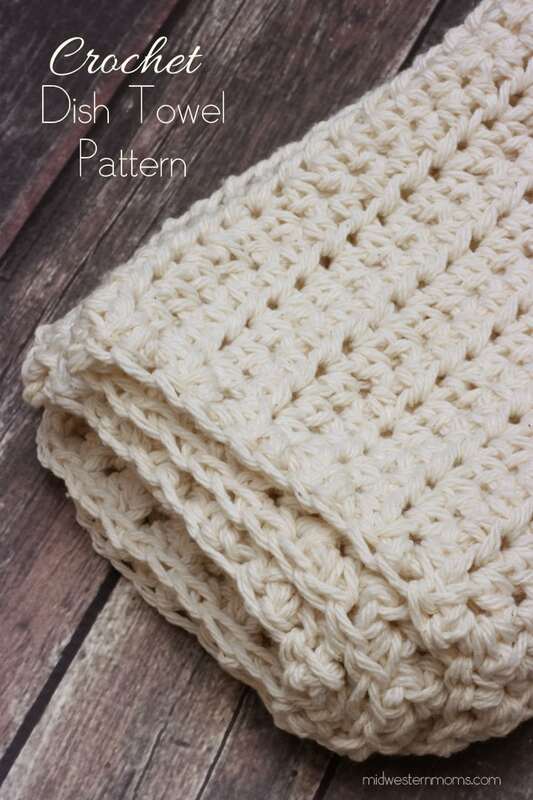 Because it uses the half double crochet stitch and you can make this afghan fairly quickly! Do you see all those beautiful rich colors? The right yarn just really makes a crochet pattern come to life! 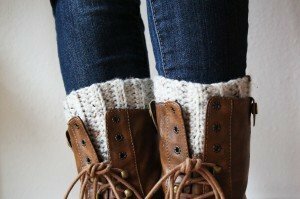 If you want to try to crochet something a little different or maybe to make as a gift, then you’ll want to try this Crocheted Boot Cuffs pattern from Skip to My Lou. This Crochet Dish Towel will make a nice compliment to all those dishcloths you’ll be crocheting. Cotton towels really are absorbent, wash up well and have such a great feel to them. 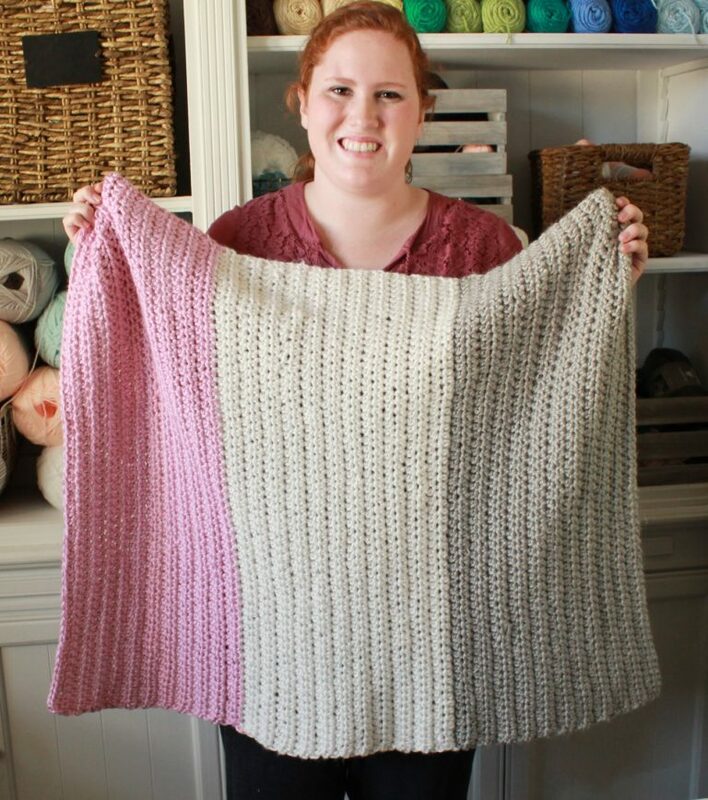 This Beginner Crochet Blanket takes your half double crochet to the next level by introducing a color change. But, don’t worry, learning how to change colors is an important technique to learn in your crochet journey. 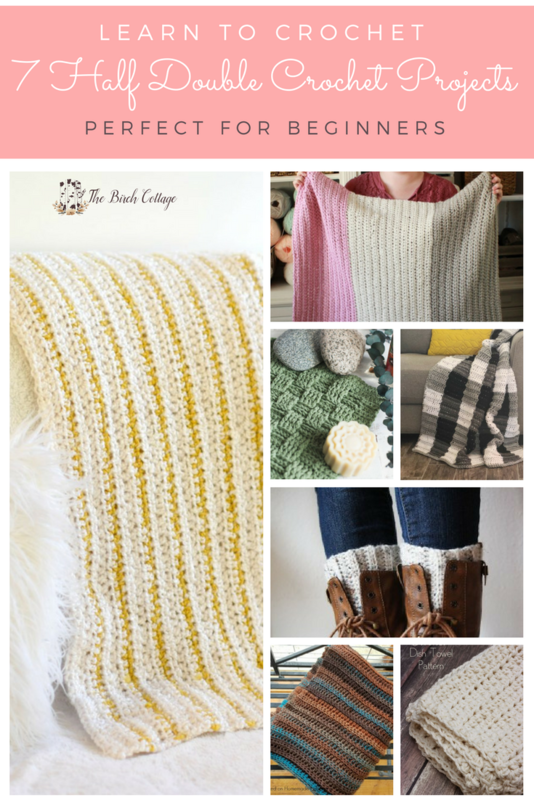 So, what do you think of these seven half double crochet projects. Any pattern interest you in particular? If you have any questions about any of these patterns or crocheting in general, I’ll be glad to try to answer them. Just leave me a comment below! For an even faster response, follow me on Instagram and message me there! Til next time… happy crocheting! !